If you are thinking of getting a new smartphone this year on the Android platform you’re going to be spoilt for choice with new hardware becoming available all the time, and today we are looking at the LG Viper 4G, LG Optimus S, and the Samsung Galaxy Nexus on the Sprint network. While the carrier now offers its customers the Apple iPhone, not everyone wants or can afford the device but luckily there are plenty of good alternatives available on the Android platform. First up we have the LG Viper 4G LTE for you that features a 1.2 GHz dual-core processor running the Android 2.3 Gingerbread operating system. Display wise the handset comes with a 4-inch WVGA unit with 800 x 480 resolution. The device also has 1GB of RAM and 4GB of onboard storage and with a new two year contract can be had for only $99.99, or if you rather own the handset outright it will cost you $399.99. Next we have the Samsung Galaxy Nexus that launched the latest Android Ice Cream Sandwich operating system. It comes with a great 4.65-inch WVGA HD touchscreen at 1280 x 720 resolution that is powered by a 1.2 GHz dual-core processor. Supplying the power for the handset is an 1850 mAh Lithium Ion Battery that provides up to 7.5 hours of talk time. Memory wise the Galaxy Nexus has an impressive 32GB of ROM and 1GB of RAM, and is available for $199.99 with a new 24 month agreement or $549.99. The LG Optimus S is a handset for those on more of a budget but still offering some worthy features that include the Android 2.3 Gingerbread OS. The display is a 3.2-inch 320 x 480 capacitive HVGA unit powered by a 600MHz Qualcomm MSM7627 processor. Wi-Fi and 3G connectivity are also achievable with the Optimus S that is available free with a new contract or $299.99 for those who want to own the device outright. 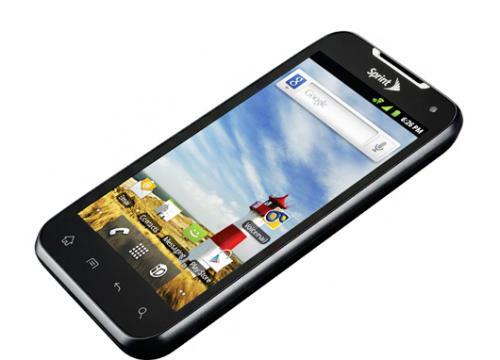 For more information about each handset from Sprint use the links provided.